We are very proud to be participating in a community give-back project for the Foundation for Blind Children! 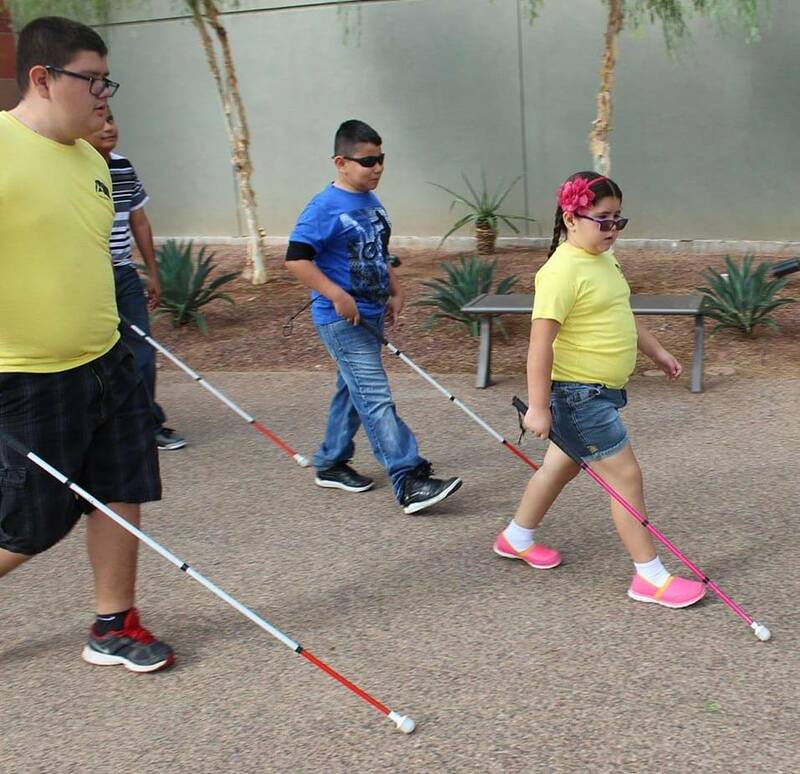 The Foundation for Blind Children is committed to providing tools, education, and services to empower individuals with vision loss to achieve greater independence. During a recent tour of the foundation’s Phoenix facility, our team discovered a kitchen in need of a remodel. 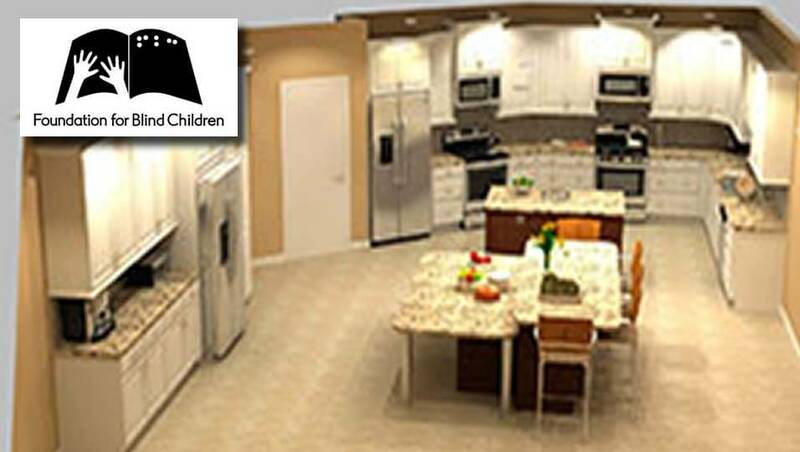 Used to provide training for adults with vision loss, the kitchen is a very important component of the facility. In addition to Republic West Remodeling providing its professional kitchen remodeling services, the company coordinated contributions from several members of the extended Republic West Remodeling family. Allstate Appliances, in conjunction with The Bosch Group donated all of the appliances to this project, including two refrigerators, two ranges (one electric/one powered by propane), two microwaves and one dishwasher. Because appliances currently operate digitally, Bosch also worked on “click” buttons and dials so adults with vision loss can gauge power usage and other functionalities. Arizona Tile donated all of the granite necessary for the five granite countertops. It also provided all of the floor tile and backsplash tile required for the final design. Ferguson donated the sinks, faucets, and disposals. E.B. Bradley is donated the cabinet hardware. Kemper, a member of the Masterbrand Cabinet group, supplied of all the cabinetry required for the final design. Arizona Propane Company provided and installed the Propane tanks necessary for the Bosch gas free standing range. Econolight, Inc. performed all of the needed electrical work. Ahwatukee Plumbing performed all of the required plumbing work. Wild West Granite, Inc. fabricated and installed all of the granite countertops for this project. Qwik Fix Drywall did all of the drywall repairs necessary for this project. Paintboy did all of the painting. Gillette Logistics provided the delivery service for all tile required for this project. Flawless Flooring and Artistic Design installed all of the floor tile and backsplash tile required for this project. Specialty Installations did the appliance installation for this project. Upon completion the room was dedicated to long-time Republic West Remodeling CFO, Randy Albers, who passed away earlier this year. Though Randy was paralyzed in a car accident in the late 1980’s he never allowed his injury to hinder him from leading a productive life. An integral member of the Republic West Remodeling family for 10 years, the entire team was excited to honor Randy in this way. We also received a kind Thank You letter from the Foundation. This give-back project was very important to all of our staff and partners, and the letter was the perfect ending to a project already near and dear to our hearts. It’s no secret the home remodeling industry has a bad reputation. Based on the countless project nightmares retold by people you know and postings all over the web, the sorry reputation of many remodeling contractors is well deserved. But it doesn’t have to be that way. 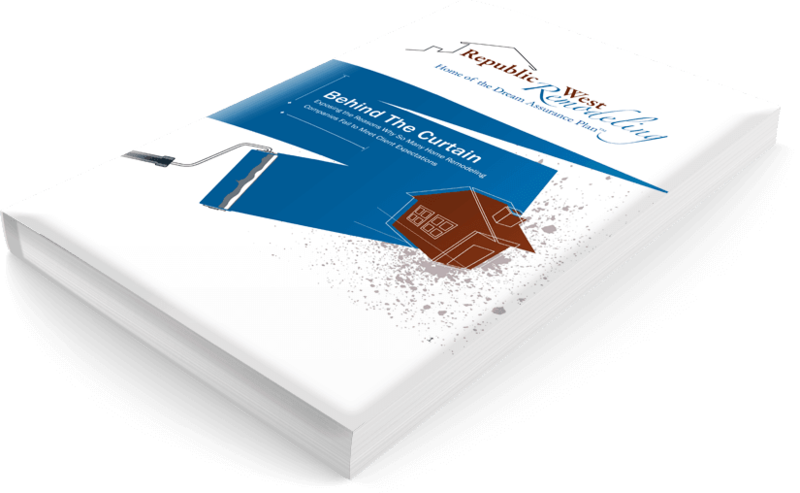 The purpose of this white paper is to educate consumers on why remodeling projects fail, what should happen behind the scenes, and how a good remodeling partner will truly do their best to prevent bad things from happening.